looking for Downsizing Sales & Estate Sales expert help? Step 1: With the MaxSold managed model, the nearest MaxSold team (MaxSold has a team of over 300 people in 30+ metros in North America) will be dispatched to you for the cataloging and photography of the items. Step 2: The pictures and descriptions then get uploaded to MaxSold’s bidding platform for online bidding. Step 3: The online auction is open for a week during which time MaxSold executes on a marketing plan, auction closes (bidding gets fierce towards the end), payments are collected, and the MaxSold team is back on site to supervise the removal of the items during a tightly contained four hour period. MaxSold also offers a Client Managed model - you do the cataloging, photography and supervision of pickup, but leave the hassle - dealing with the buyers, marketing and collection of payments - to MaxSold. MaxSold’s solution has a proven track record of over 3500 auctions to date, with turnaround of less than two weeks (and shorter when needed), with a 98% sell-through rate of items from cars to Christmas decorations, through a competitive bidding platform with itemized tracking and reporting of the entire process. 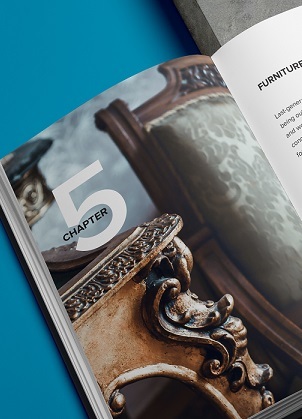 From artwork to furniture and many items between, this eBook aims to provide you with the product awareness and helpful resources you need in order maximize the success of your sale as well as avoid common mistakes along the way. As an online auction company with roots in helping clients with their downsizing and estate sales since 1956, MaxSold prides itself on being an expert solutions provider, having sold hundreds of thousands of products for their clients to date. © 2019 MaxSold. All rights reserved.